One of my New Year’s resolutions for 2016 was to start sharing more travel content, and yet I’ve neglected to post a travel guide recapping our spring trip to Copenhagen. Well, that changes today! Below, you’ll find a recap of what we did on the trip if you want to just copy our fly-by-the-seat-of-our-pants itinerary, along with a list of places to eat, things to do, beer bars to visit, and shopping destinations. I’ve also included a Google map you can use when planning your own Danish vacation. I have nearly two thousand photos from the trip — way more than I could ever share on social media! I’ve done my best to trim the imagery in this post to only the most relevant photos, but please feel free to take a look through my personal Facebook album of the trip if you’re interested in seeing more images of this incredible city. 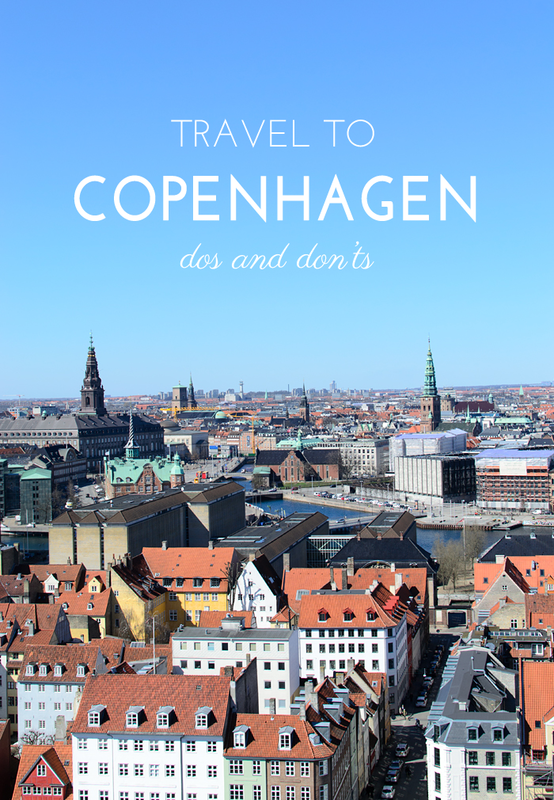 Plus, if you haven’t done so already, read my post on the dos and don’ts of visiting Copenhagen. It covers everything I wish I had known before visiting the city. Getting There – We flew from Chicago’s O’Hare International Airport to the Kastrup (the Copenhagen Airport) on a red eye with Scandinavian Airlines. It was by far the most affordable flight we found to Denmark coming in at just $818 per person, and that was after adding a $100 upgrade per person roundtrip for the bulkhead seats. (It would have been a bit cheaper if we had scheduled our return flight from Copenhagen instead of Brussels.) There were some scheduling snafus with the airline, as outlined here, but overall it was a pleasant experience. The staff was exceedingly polite, the food was good, and they even had a Mikkeller beer made in partnership with the airline for sale. Day 1 – Arrival in Copenhagen! The very first thing we did on Danish soil was purchase a Lebara SIM card in the airport before setting out on the Metro for our our Airbnb. After a shower, we walked to Warpigs, a brewpub collaboration between American brewery 3Floyds and Danish brewery Mikkeller, for their anniversary party. Taking in the city while enjoying food and drink was pretty much how our jet-lagged first day went. After Warpigs, we checked out Fermentoren (a cozy beer bar), had sourdough pizza at Mother for dinner (so good! ), and stopped by Mikkeller Bar for a night cap. Day 2 – We planned to walk to Amalienborg Palace to wait for the changing of the guard, which occurs daily at noon, but happened upon their procession through the city instead. We fell in step and followed them to the palace, which was much more interesting than the ceremony itself. Afterward, we headed to the harbor to see The Little Mermaid statue. 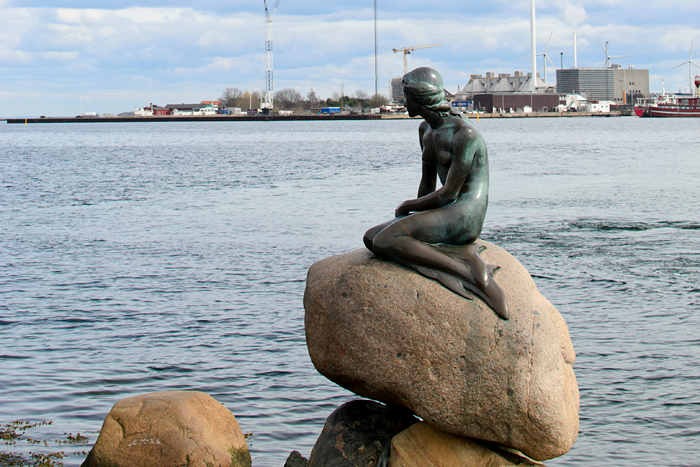 Along the harbor, we noticed other nods to Copenhangen’s seafaring history, such as a statue of Neptune. We then took a stroll through Kastellet, the old citadel, before purchasing sandwiches at Fotex (a grocery store similar to Whole Foods) for lunch and salted licorice for dessert. (We were hooked!) 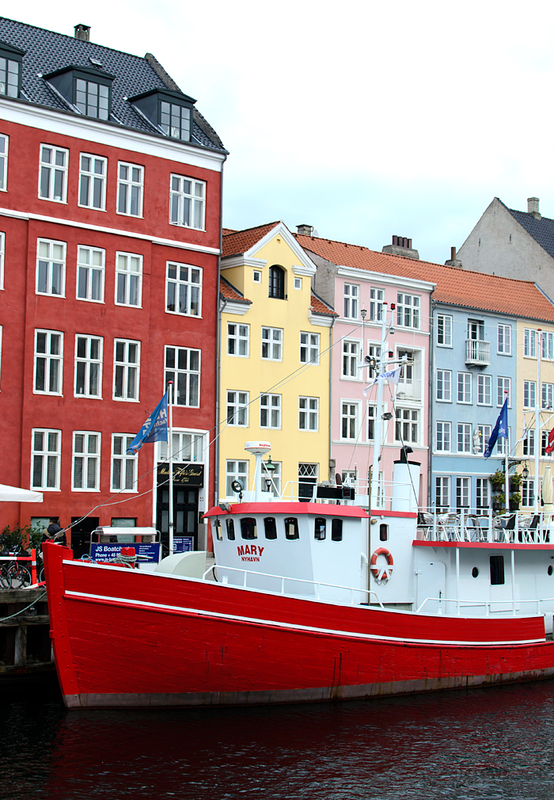 We ended the afternoon of sightseeing with a canal tour departing from Nyhavn, the iconic Copenhagen canal with the colorful buildings, before indulging in a bit of shopping at Illums Bolighus where I purchased a piece of Royal Copenhagen porcelain. We ended the night at Halifax, a fantastic burger restaurant with gigantic portions, followed by Himmeriget, a relatively new, under-the-radar beer bar. Day 3 – We kicked off day three with a walk to Coffee Collective in the Nørrebro district, a young, vibrant neighborhood, for cappuccinos and hindbaersnitter, a traditional Danish pastry that roughly translates to “raspberry slices.” It’s sort of like a Pop-Tart with flat, glazed sides, and raspberry filling — but it’s way better, obviously. We walked through Assistens Cemetery, where Hans Christian Andersen is buried, on the way to our next destination: Church of Our Savior. Four hundred stairs later (including the final 150 stairs that were outside on the spire), we were at the top and treated to incredible views of the city. After our descent, we headed over to Freetown Christiania. It’s essentially an 84-acre hippie commune in the middle of Copenhagen with its own laws, which come down to two things: no photos and no running. I’d urge you to read more about it here. It’s definitely an experience, even without partaking in the “festivities!” Next on our agenda was lunch at Hija de Sanchez, a taco stand opened by an ex-Noma pastry chef, where we had a taco trio: huevo ranchero, lengua (beef tongue — eek! ), and pork carnitas. We then attempted to check the botanical gardens off our to-do list, but got turned around in Ørstedsparken and found ourselves at Ørsted Ølbar instead. Oops! We seized the opportunity to have a beer while we charged our phones in the bar’s outlets. It was nearing closing time for many of the tourist attractions, so we wrapped up and booked it to Rundetaarn for another bird’s-eye view of the city. It’s a 17th-century tower, originally built as an astronomical observatory, that winds up to the top without stairs. We were tuckered out after all of the walking (we averaged 11 miles a day) and decided to stay close to our Airbnb that night, opting for a lackluster meal at Overfor, the only establishment we visited on our trip that had bad service. Day 4 – Purchased a Copenhagen Card, which grants admission to 73 attractions and free transportation, and boarded the train to Helsingør. The coastal city is approximately 40 minutes away by train and is the home to Kronborg Castle, the scene of Shakespeare’s Hamlet. The Copenhagen Card covered admission to the castle and also the Maritime Museum located in the city. We toured the museum first, which was fairly boring and uninformative. I’d suggest skipping it if you’re forking over money specifically for it. Kronborg, however, was incredible. We arrived in time for a guided tour of the casemates, where we learned more about the horrific conditions the soldiers endured (running the gauntlet for one), how the king would escape through secret passages to the city, and the lore of Holger Danske. Afterward, we stopped at the nearby art center for lunch before taking a Scandlines ferry over to Helsingborg, Sweden. The ferry costs less than $10 per person (plus a discount with the Copenhagen Card), so it’s basically a no-brainer to step foot in the neighboring country. Our first stop in Sweden was The Bishop’s Arms for a couple of beers when we decided to send a Facebook message to Brewski, a brewery we heard fantastic things about during the trip, to see if they had a tap room. As luck would have it, the brewer responded almost immediately and offered to pick us up for a private tour and tasting. We had originally planned to spend a couple of hours at the Louisiana Museum of Modern Art on our way back to Copenhagen, but our Swedish adventure lasted longer than we expected, giving 45 minutes to breeze through. When we got back to Copenhagen, the only thing open was 7-11 where we snagged the last few slices of pizza for an ultra-late dinner back at our Airbnb! 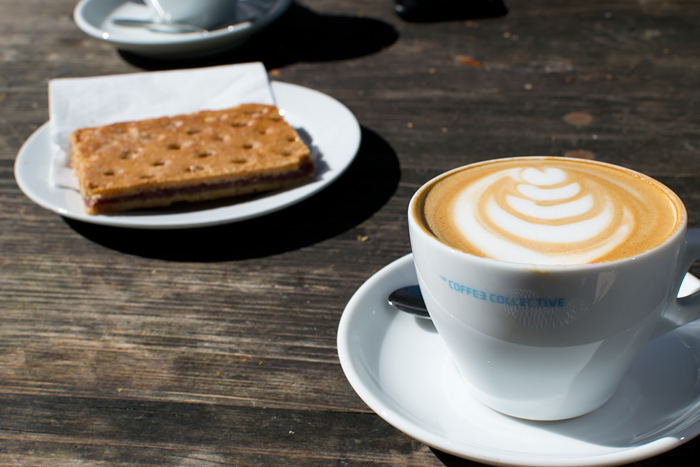 Day 5 – Rise and shine with Coffee Collective at Torvehallerne! It was day two of our 48-hour Copenhagen Card and we wanted to pack in as much as possible to get our money’s worth. The first activity of the day, the Botanical Garden, was free regardless, but happened to be near a couple of paid attractions. The grounds were beautiful with early spring blossoms, and the humidity of the conservatory felt amazing after dealing with chilly Scandinavian wind our entire trip! Afterward, we were off to Rosenborg Castle to drool over the crown jewels and the impressive Long Hall with the coronation throne. The outing was followed by a stop at Statens Museum for Kunst, a hike to Carlsberg Brewery to see the iconic elephants, and shopping at Designer Zoo Shop where I bought the cutest little dishes I’m now using for succulents. We started to peter out at this point and decided to take it easy with a few beers that we picked up at Kihoskh and enjoyed in a nearby park before heading to Fermentoren for drinks and Neighbourhood for organic pizza and cocktails. We wrapped up the night at Tivoli, the amusement park in the middle of the city. Admission was free with the Copenhagen Card, but rides were an additional fee. Day 7 – Our last full day in the city kicked off with cappuccinos at Copenhagen Coffee Lab. After getting ourselves sufficiently caffeinated, we went up the tower at Christanborg Palace for one last bird’s-eye view of the city. We then walked over to Paper Island, an old paper warehouse that has been renovated into an international street food experience, where we shared Korean bulgogi and a pulled duck sandwich. Afterward, we stopped by the National Museum of Denmark before ending the day with one more beer tour through the city at Olbutikken, War Pigs, and Himmeriget. Botanical Garden – The gardens have 27 glasshouses dating from 1874 that house 13,000 species of plants. The most impressive is the Palm House with an Instagram-worthy cast iron spiral staircase. Canal Tours Copenhagen – You can’t visit the city without hopping aboard a canal tour in the picturesque Nyhavn district. There are a few competing tour companies and I get the impression that they’re all fairly similar. 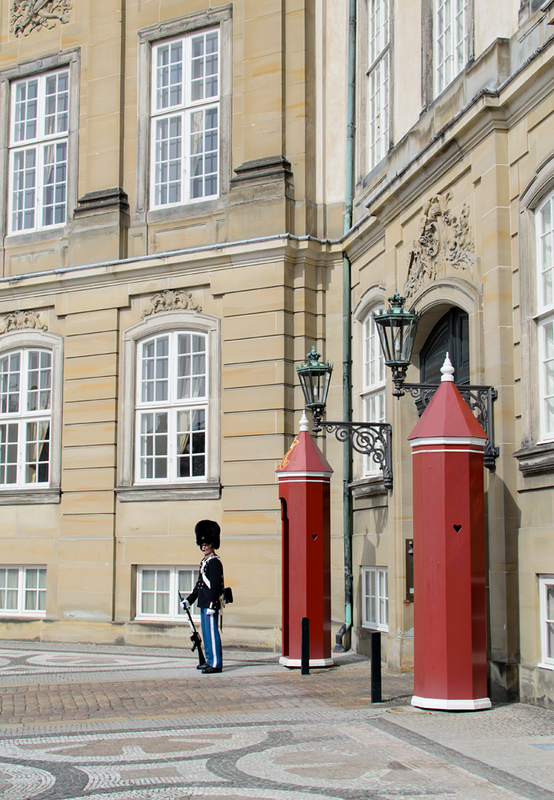 Changing of the Guard – This happens every day at noon at Amalienborg Palace. The guards begin their march at 11:30 a.m. from the barracks by Rosenborg Castle and head through the city to the palace. The route changes, but we were lucky enough to find ourselves in step with the guards for the length of the walk, which was more entertaining than the actual ceremony. 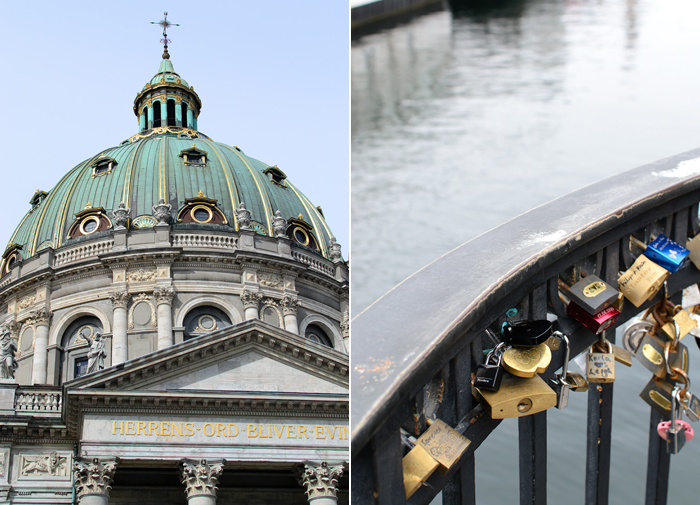 Christiansborg Palace – Another chance for bird’s-eye views of the city. The entrance to the tower is at the King’s Gate, a large gate in the center of the palace immediately beneath the tower. An elevator will take you to the top. Church of Our Saviour – This isn’t the best tower for those afraid of heights! You’ll climb 400 stairs to the top, with the final 150 outside. Those brave enough to make it will enjoy magnificent views of the city. 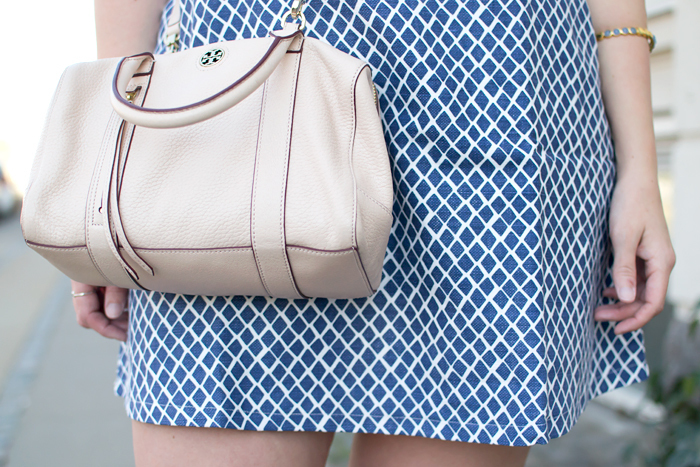 It does get windy up there, so you may want to skip the dress. Freetown Christiania – After making your way up Church of Our Saviour, head over to Freetown Christiania. It’s basically a hippie commune that was established in 1971 where police don’t have open access. It’s perfectly safe as long as you adhere to two rules: no running and no photography. You can discretely purchase marijuana here if you’re into that sort of thing. Just don’t take it outside of Christiania; it’s not legal in Copenhagen. 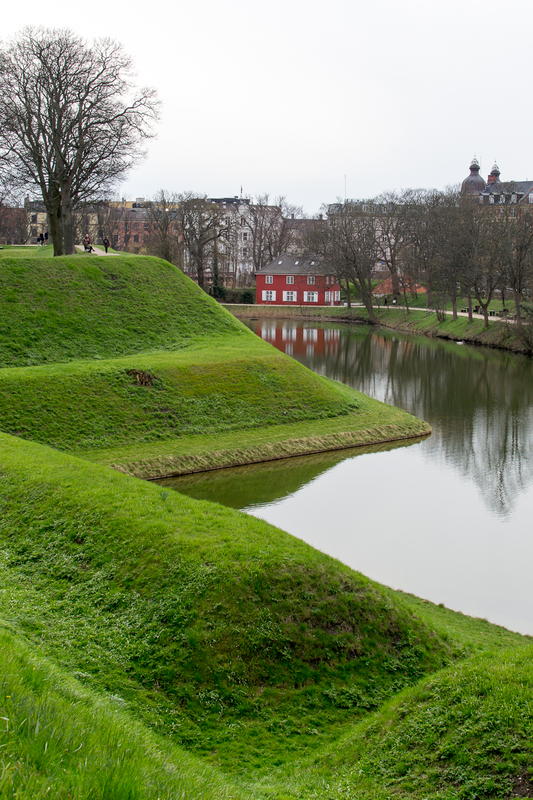 Kastellet – The old citadel. While the site is currently used for military barracks and offices, there are beautiful green spaces to enjoy an afternoon walk. Kronborg – The castle that inspired Hamlet. Visit Kronborg on a day trip to Helsingør and plan to spend a couple of hours touring the castle and the grounds. The Little Mermaid – As the name points out, it’s small in stature, coming in at just over four feet tall. Some travel sites recommended skipping it as it is a disappointment if you have your hopes up! Just set your expectations accordingly. It’s iconic and it’s worth doing for that alone. Louisiana Museum of Modern Art – This is an amazing modern art museum. The biggest regret of our trip was that we arrived an hour before it closed and we didn’t have enough time to see everything. Go there on the way to or from Helsingør on your day trip to see Kronborg. M/S Maritime Museum of Denmark – Only worth stopping at if it’s free with the Copenhagen Card and you’re already in Helsingør to see Kronborg. I thought this was a let down with little information about how Danish culture was influenced by its maritime history. National Museum of Denmark – A cultural history museum of Denmark. This wasn’t our favorite museum of the trip, but it is free and worth the stop if you’re looking for something to do. Ny Carlsberg Glyptotek – An art and history museum with the most amazing sculpture collection. Rosenborg Castle – The crown jewels are here! The Round Tower – Originally built in the 17th century as an astronomical observatory, you can head to the top for views of the city. Instead of stairs, a spiral ramp brings you to the top. Statens Museum for Kunst – The national gallery of Denmark has free admission to see the permanent exhibits. Tivoli Gardens – The second oldest amusement park in the world. Banksia – Australian cuisine. The Melbourne street noodles are fantastic. (Don’t be put off by the tofu in the dish. It’s creamy and reminded me of a mild cheese.) They also have a great beer menu. It was undoubtedly our best meal in Copenhagen. Copenhagen Street Food – Located in a renovated paper warehouse, you’ll discover dozens of food trucks and stalls featuring international cuisine. Halifax – A fantastic burger restaurant with gigantic portions. Hija de Sanchez – Taco stand opened by an ex-Noma pastry chef. The taco trio changes daily. Mother – Sourdough pizza. Limited seating. You’ll likely need to put your name on a list and check back. There’s an attached cocktail bar and other bars nearby to visit while you wait. Neighbourhood – Organic pizza and craft cocktails. Shared tables. Royal Smushi Cafe – This small cafe is attached to the Royal Copenhagen flagship store. Stop in for coffee and dessert for an Instagram photo opp. All treats are served on Royal Copenhagen porcelain. Torvehallerne – A market with over 60 stands selling fresh ingredients, ready-to-eat entrees, gourmet desserts, and beverages. There are communal picnic tables outside. 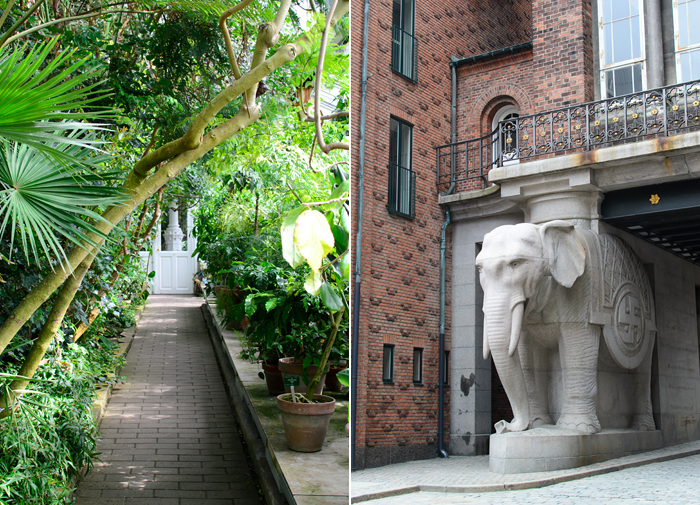 Carlsberg Brewery – Even if you’re not a fan of Carlsberg beer (we’re not), make the trek to see the elephant statues that flank the entrance. Fermentoren – Cozy beer bar with 20 taps. They have outdoor seating. Himmeriget – A relatively new, under-the-radar beer bar with an extremely impressive bottle list. Mikkeller Bar – 42 beers on tap and a bottle list. 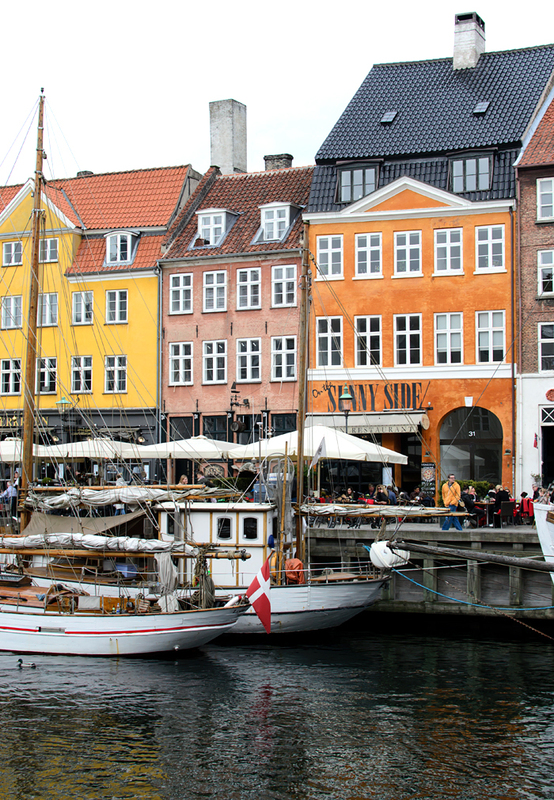 Nyhavn – We actually skipped all of the overpriced bars in Nyhavn. Instead, we grabbed a beer at a grocery store and enjoyed it perched on the side of the canal. It was actually one of my favorite moments of the trip. Ølbutikken – Beer store with a diverse selection with bottles available for on-site consumption, too. Friendly staff and shared tables. Ørsted Ølbar – A relaxed bar with a casual atmosphere. There are plenty of power outlets under the bar that you can use to charge your phone. There is outdoor seating when weather permits. Taphouse – This is a newer bar and feels a little sterile, but it makes for a good stop when you need a break. There are happy hour specials. Warpigs – A brewpub collaboration between American brewery 3Floyds and Danish brewery Mikkeller. They serve Texas-style BBQ. I recommend the spicy beef jerky for a high-protein snack. Designer Zoo Shop – A cute little shop for housewares. I purchased these. HAY – An iconic Danish design store for furniture and home accessories. The store has a great view of the square below with the city’s iconic Stork Fountain. Illums Bolighus – A department store with all of the Danish design you could ask for! I could have spent a fortune in this store if suitcase space would have allowed. I picked up darling knit rattles for our friends’ babies and Royal Copenhagen porcelain for myself. LEGO – Honestly, there isn’t anything unique to the Copenhagen store even though LEGOs were created in Denmark. However, it’s worth the stop for the LEGO royal guards and the LEGO rendition of Nyhavn. Royal Copenhagen – All of the Royal Copenhagen porcelain you can imagine. When we were visited, there was an artist demonstrating how each item is hand painted. I’ve created a Google Map of the things that we did for your trip-planning pleasure. It’s color-coded based on the item: yellow for sightseeing, teal for bars, red for restaurants, light blue for shopping, and green for a day trip to Helsingborg. When you click on each item, you should get a description and a photo that was snagged from a Google image search. 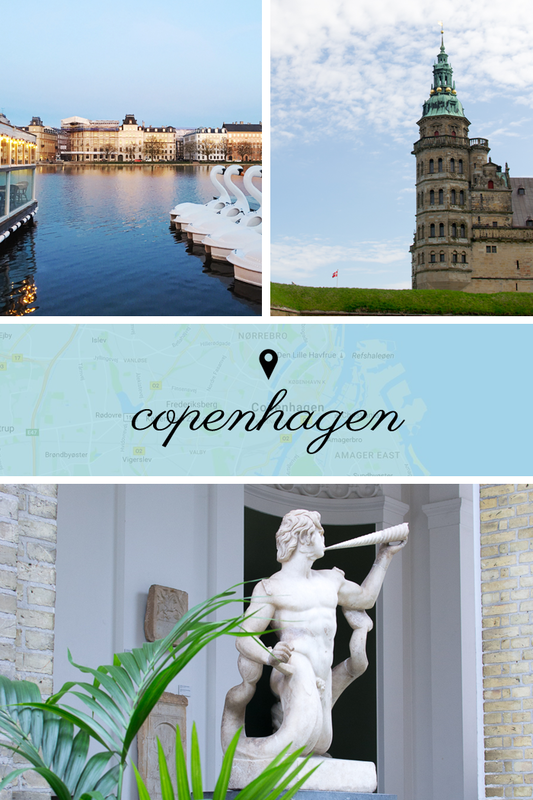 I was overwhelmed when I began working on my Copenhagen travel guide. There’s just so much to share with incredible architecture and museums, shops to check out, restaurants to try, and bars to cozy up in. I just couldn’t figure out where to start, so we’re going to begin with the basics. This guide is going to be dedicated to practical info, travel tips, and debunking some of the advice I came across when I was doing my own research. In the coming weeks, I’ll share a guide of must-see attractions and shopping destinations; another of the cafes, restaurants, and bars to stop at; and a final Denmark guide for a day trip to Helsingør (and a stop in Helsingborg, Sweden!). Then, I’ll take you to Belgium. And, all complete with Google maps you can snag for your own travel planning. Whew! Do rest assured that the Danish are nicer than everyone claims. In my preliminary trip research, I read that the Danish aren’t overly friendly. Not standoffish, necessarily, just reserved. We didn’t find that to be the case. Just about everyone we met were exceedingly kind and helpful. Don’t worry about a language barrier. Danish is a hard language to learn and while we studied up on the basics with Duolingo, we didn’t have to use any of our skills once. The Danish word for hello is “hej” (pronounced “hey”) and once we responded with an American accent, everyone switched to flawless English with virtually no discernible an accent. Most menus are also in English. Don’t bother taking out cash. Credit cards are accepted everywhere – including the ubiquitous hot dog stands where I was certain they’d request cash. (The Danes love their hot dogs.) I’m a worrywart and made Dave take out cash on our first full day there. We took out 500 DKK (approximately $75) and struggled to find places to spend it. We ended up using the last $50 on drinks one night. The bartender was confused and miscalculated the cost of our drinks without the aid of the credit card machine to tally the final price. Seriously, no one uses cash. It’s awkward. No one likes it or wants it. Save yourself the headache and bring your chip-enabled credit card. That’s it. Don’t be alarmed if you come across a baby unattended in a stroller outside. It’s common for Danish parents to let their infant sleep outside seemingly unattended, swearing that the brisk air has health benefits for the little one. Don’t worry, though. The parents are usually keeping a watchful eye from a nearby window. Kidnappings are rare in Copenhagen. One source stated that there were three in the last 30 years, but I could’t find a reputable site to verify that. Either way, the Danes trust each other in a way that American’s can’t quite understand. Don’t get run over by a bicyclist. While Amsterdam technically gets the crown for most bikes per capita, I didn’t worry about cyclists clipping me there nearly as much as I did in Copenhagen. (Honestly, Amsterdam had a lot of mopeds when we visited in 2014. They were annoying.) There’s a dedicated bike lane on busy streets. Be just as careful to cross it as you do the auto lanes. During rush hour, the speed of bike traffic is astonishingly fast and it’s not going to stop if you stumble out. Do heed crosswalk signals. Americans are pretty lackadaisical when it comes to obeying the crosswalk. Not the Danish. They follow those rules diligently and wait patiently for the light to change before crossing the street — even when there’s no oncoming traffic. Do get a local SIM card. We purchased a Lebara SIM card at a mobile telephone store in the airport with the help of a store clerk to get us set up. The initial card didn’t include very much data, but it was enough to get us situated, get directions to the city center, and last another day and a half with heavy usage. (I wish I remember which plan we purchased, but I was in a post-flight haze.) There’s an instruction card in the package that will guide you through setting up your text alerts in English. After you breeze through your plan, you can buy inexpensive top-off cards for more data at nearly every convenience store in the city. Lycamobile is another brand that seems to be available in more European cities and may be a better bet if you plan to travel to a different country. Obviously you’ll need to have an unlocked phone to take advantage of a local data plan. Do take the Metro. It’s fast, clean, and incredibly convenient. You’ll have your first encounter with the Metro station when you leave the airport. My credit card wouldn’t work in the self-service kiosks to purchase a Metro ticket, so I’d suggest going directly to the counter. Heading to the city center will be three zones, but the service agent can help determine the length of your trip based on the stop where you’d like to exit. As with everything else in Copenhagen, the Metro system is based on trust. You don’t need to scan a pass to enter the station and it’s rare you’ll be asked to show a ticket on board. But don’t try sneaking on without paying. It’s a 750 DKK fine. To make your journeys even easier, download the Metro’s Mobilbiletter app. You need a Danish phone number* to set up an account, so do it after your SIM card situation is figured out. The app will save your credit card number, so all you’ll need to do is select the zone length and number of tickets and pay. (It also has a trip planner if you need help with the zone amount. You’re typically only going two zones if you’re staying near the center of the city.) You can find more details about the public transportation system here, here, and here. *If you read the comments below, you’ll see that a reader was able to use her phone number without a problem. Dave wasn’t able to make the app work with an American number and I tried successfully with my Danish number. I’m not sure if it just needed a European number because of the digit length? Do enjoy a lot of pastries and coffee. The Danish are pros at breakfast sweets, and they take coffee culture very seriously. Do try salted licorice. So good! I’ll be placing an order for more when my supply runs low. Do wear sneakers. I’ve never seen a higher concentration of stylish kicks in one place before! Just about everyone wore sneakers with their outfits, including women in skirts and dresses. I had a pair of Pumas and the slip-on version in this post on repeat. Chelsea boots were also common, but not nearly as ubiquitous as sneakers. Do pack warm layers. It’s chilly, and from what I understand, that’s still the case in the summer. 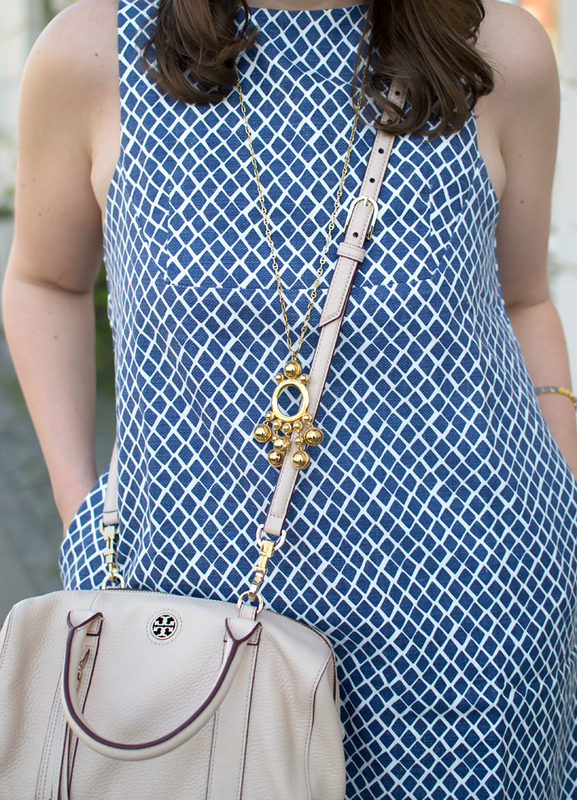 We went to Copenhagen in April and I figured my suitcase full of dresses would be just fine. After all, I wear them in Wisconsin in the spring with similar 50-degree temperatures. That wasn’t the case. 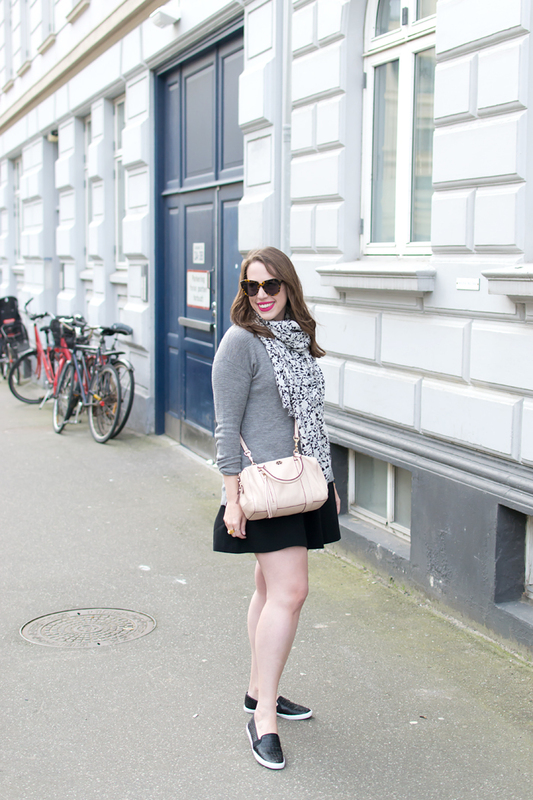 Don’t underestimate the cold Scandinavian breeze! I ended up wearing jeans and sweaters almost exclusively. 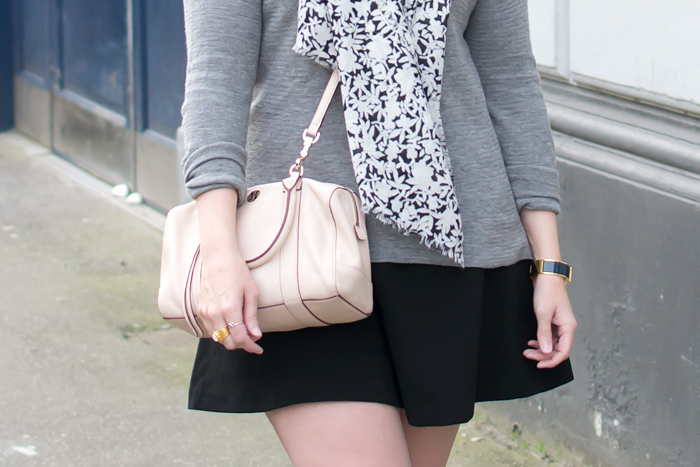 There was a sunny morning where this dress was completely fine to wear, but I still needed a jacket and a scarf. 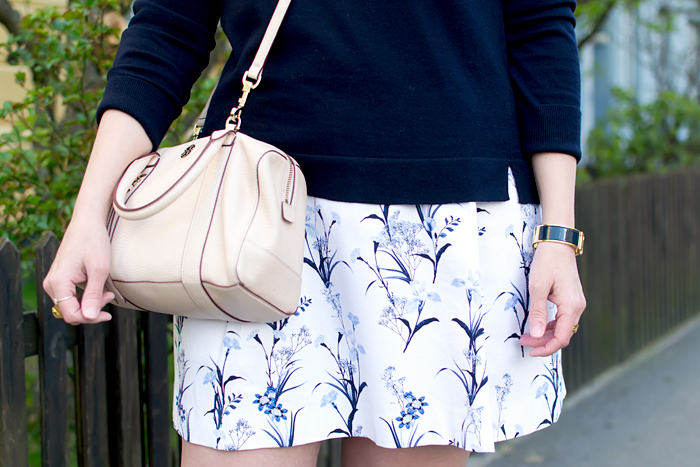 I’d urge you to add layers to your suitcase no matter the time you’re traveling. Do expect to go over your budget. Like most Scandinavian cities, Copenhagen is one of the world’s most expensive places to visit. There’s really no getting around it, unless you’re going to eat and drink in your Airbnb exclusively (see below). But that doesn’t seem like much fun, does it? Restaurant prices are up there, but the portions are generous. There’s a hefty tax on alcohol with beer coming in at approximately $10 each. That said, I wouldn’t let the cost of Copenhagen deter you. Just be prepared to budget more than you think you’d spend. Dave and I spent an average of $250 each day — 50% more than the following week in Brussels. That total doesn’t include souvenirs or accommodations. If you’d like to get a VAT refund on any of your purchases (Royal Copenhagen, anyone? ), here are the instructions. You’ll just need to spend at least 300 DKK (approximately $45) at a retailer to apply. The airport location is easy to find. Do consider an Airbnb. 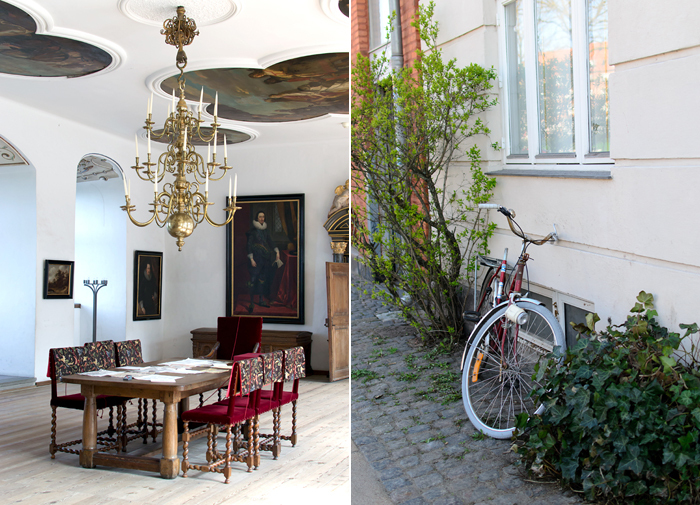 Living like a local in Copenhagen is significantly cheaper than booking a hotel. We stayed at this place, which came in at nearly half the price of a traditional hotel. It’s near the Forum Metro station, which made getting around easy, and there’s a grocery store nearby for cheap eats. If you don’t already have an Airbnb account, sign up through my link and we’ll both get a $20 credit. Do get a Copenhagen Card. The Copenhagen Card offers free admission to 73 museums and attractions and free public transportation. (Two children under 10 can also tag along for free.) It’s an incredible value if you do some pre-planning to get your money’s worth out of the card. (You can explore the city at a leisurely pace after your card expires!) There are 24-, 48-, 72-, and 120-hour cards available. We purchased the 48-hour card during the off-season for around $55 per person. With our 48-hour card, we visited the Maritime Museum, Kronborg Castle, Louisiana Museum of Modern Art, Botanical Garden, Rosenborg Slot, Statens Museum for Kunst, and Tivoli Gardens. Plus, all of our train and Metro travel was covered, including the trip to Helsingør and a discount on the ferry to Helsingborg, Sweden. Do consider flying SAS. 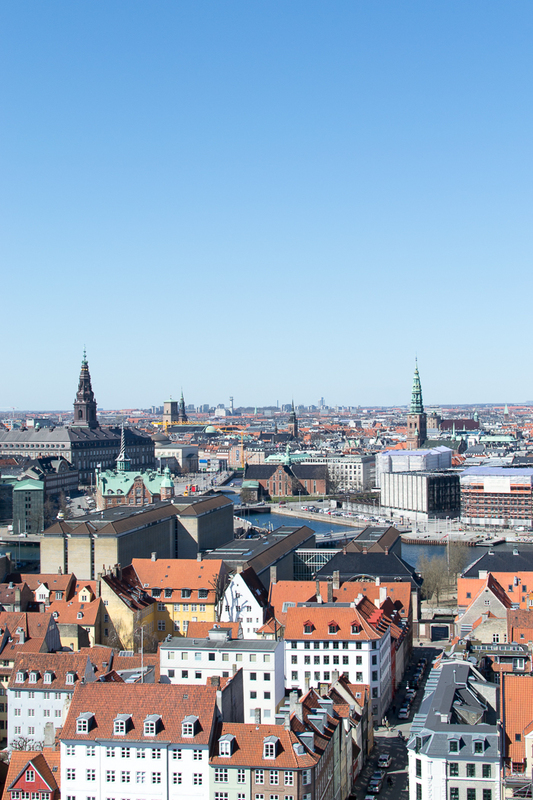 We flew Scandinavian Airlines from Chicago to Copenhagen, with a return trip from Brussels. (We took Brussels Air from Copenhagen to Brussels.) It was by far the most affordable flight we found to Denmark coming in at just $818 per person. They routinely have airfare sales and they fly to more destinations than just Scandinavia. Overall, we were very happy with the airline. It was clean, the food was palatable (warm rolls! ), and the staff were friendly. However, we did have a couple of snags. Our return flight was originally scheduled for April 23. When I went online the day we departed to double check times, I noticed that they had bumped up our return flight to April 22 without notifying us. Part of the problem was the post-terrorist travel delays at the Brussels airport, but from what I understand, they would have left our flight on April 22 had I not caught it in time and called. The second snag was when we left Brussels. With the tightened security, we were asked to bring our boarding pass to the airport before we even entered the facility. SAS’ online check-in was down, causing unnecessary stress the day we left. All in all, that wasn’t the biggest deal. I had printed off our ticket confirmations, which was enough to get us through security. I was more miffed about the flight change and spoke with the airline afterward. We were given Star Alliance airline miles as an apology for the lack of communication when the flight was changed, equal to that of the number we earned on the round-trip flight itself. We’re incredibly close to another international flight for free! Two weeks later, we’re finally back from our trip abroad! We spent our first week in Denmark before heading to Belgium for week two, and if you were following along on Instagram, you already know we had an incredible time. I’m anxious to share stories and create travel guides for each of the places we visited … after weeding through the 3,000 photos on my camera card! 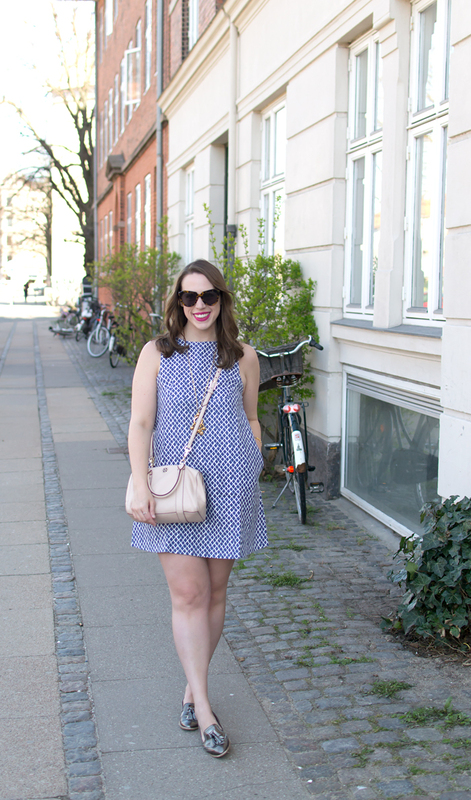 These photos were taken on one of our first days in Copenhagen, which was one of the only days warm enough to wear a dress to grab coffee in the morning. 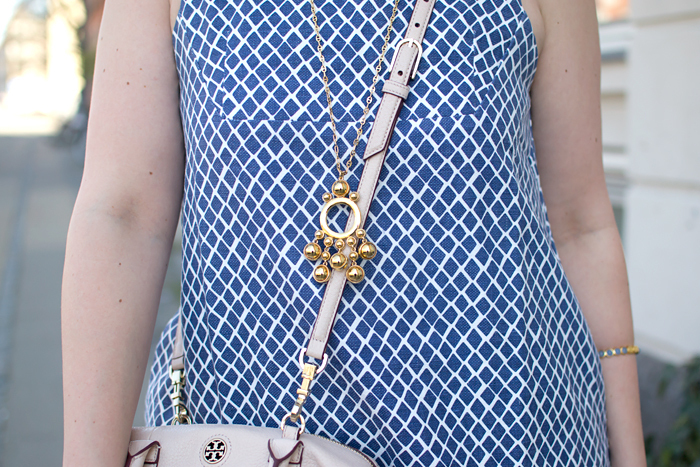 I snuck in a few more bare-legged outfit photos that you’ll see later, but in true blog fashion, I ducked back inside to throw on tights or change into jeans. I packed terribly. With temperatures in the upper 50s, I thought I’d be fine with dresses since that’s what I wear in Wisconsin at that temperature. Trust me when I say that 50 degrees in Scandinavia feels much colder with the breeze and overcast sky. I ended up rotating between three sweaters and one long-sleeve top with jeans and sneakers almost exclusively. (This was kind of my personal hell. I don’t like denim.) Aside from that — and it’s such a minor thing to complain about — the trip was amazing. Now let’s just hope I can make it through my first day back at work without nodding off thanks to jet lag! In unrelated news, I came across my beloved Karen Walker Number One sunglasses for 25% off! In fact, all of the designer’s shades are available at a discount on Nordstrom for a limited time.